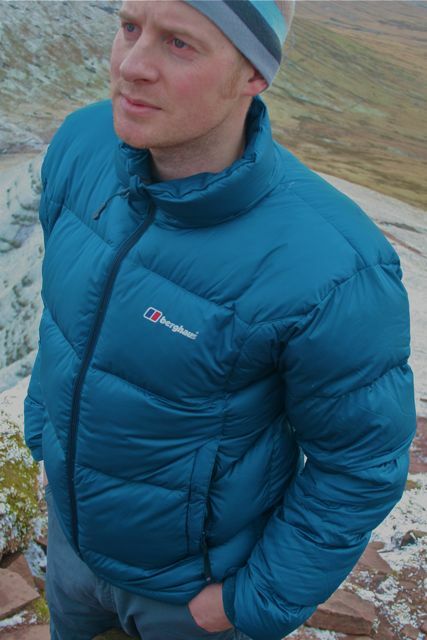 The Berghaus Akka down jacket is advertised as a jacket with warmth, comfort and a great fit for cold conditions. 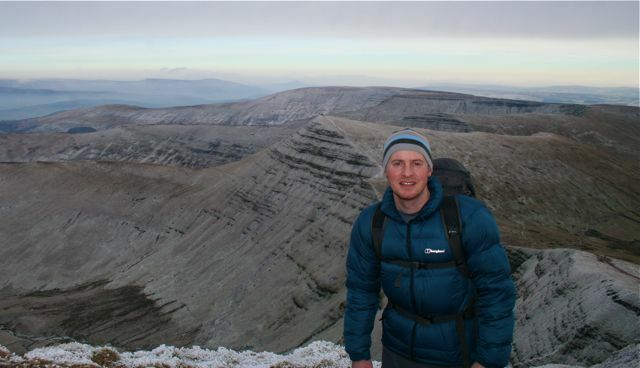 It’s a great looking jacket, with a lot of potential, so how did if fare on a cold day in the Brecon Beacons? This jacket has a simple but very effective makeup. The jacket is filled with 600 fill power 80/20 duck down, is covered with a water repellent AF polyester fabric shell, and has a lining made of nylon. It is then stitched in to panels to keep the internal structure intact. This jacket is very comfortable to wear. The fit is very good, and because of the down, it pads out any gaps, shaping to the body, and adding in the nylon inner, it feels soft and cozy. The neck has a high collar and once zipped up fully, pads out this area and protects it well. The back of the jacket is cut to hang over the bottom area just enough to stop it riding up, and using the drawcord if needed, created a secure and comfy fit. Whilst testing this jacket out in the mountains, I didn’t feel any restrictions and no cold areas. This jacket feels tough in construction with good stitching and overall up to the job. 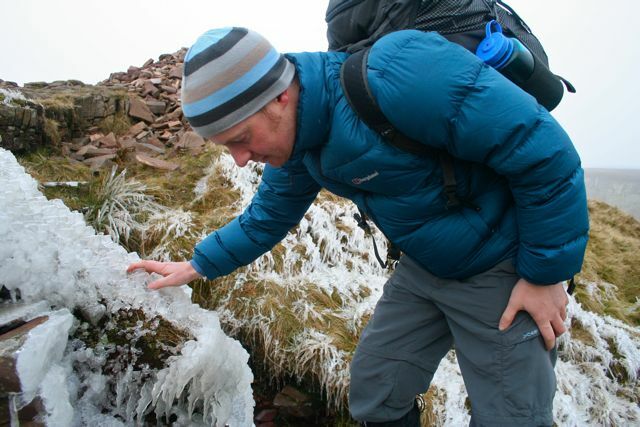 Jackets of this sort are often easy to snag on thorns, barb wire, crampons etc, so I am always wary about this. The jacket has a Durable Water Repellent (DWR) treatment applied to the AF polyester face fabric, making it water resistant. This was noticeable as we had a light shower whilst first taking this jacket out on a short walk. The water beaded off nicely, but I wouldn’t want to be caught in a heavy downpour or constant rain. In the snow, this jacket propelled the snow brilliantly, and any moisture that did appear on the jacket, also dispersed fairly quickly. On the bottom of this jacket is a drawcord, which if needed will tighten the jacket around the bottom, but its unlikely you will need this as the fit seems very good. It’s nice to have the option though for extreme weather. There are two pockets on the outside of the jacket, one on each side, both covered in storm flaps. You can get an OS sized map in them and when opened would probably ventilate the jacket a little. There is also a small pocket inside about chest height, which is essentially a small meshed pocket for keys, compass, or something small. The RRP is £140, which for a jacket of this type, and comparing with other manufacturers is a reasonable price. If you need a jacket for using in cold conditions, where snow, ice and cold winds are on the cards, this jacket is ideal. Its a very comfortable jacket that fits well to your body and feels really warm. This jacket has a wide range of uses, and has a modern look so I would feel as comfortable wearing it on up my local pub as I would in the hills.